Crown Appraisals is recognized for 35 years of specialized experience and in-depth knowledge of the agribusiness industries. Put your trust, and your business, in the hands of the most trusted agribusiness valuation advisor around, whose service and experience differentiate him from the competition. Crown Appraisals can easily gain temporary licensing from the state the property is in. We have experience in 35 states and counting. You get to put 35+ years of experience to work through Jeffrey Berg. We handle the challenging and unique appraisals. If there’s a tough job that needs doing, count on us. We have a highly skilled team with an effective, broad list of skill sets. Crown Appraisals is led by Jeffrey Berg. Jeff has 35 years of experience in agricultural appraisals and is recognized as a regional expert in grain elevator, seed plant, and fertilizer facility appraisals. 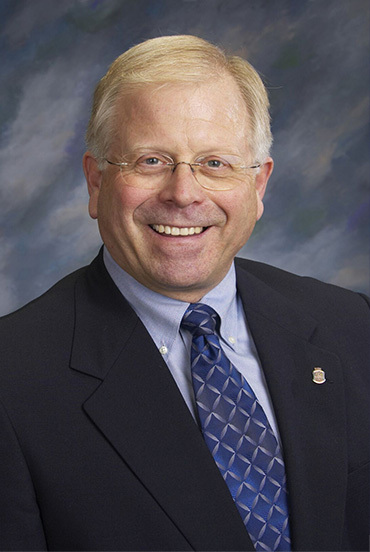 Jeff was the 2011-2012 National President of the ASFMRA (American Society of Farm Managers and Rural Appraisers). Crown Appraisals helps its clients achieve their business needs with consistently high quality appraisal products and outstanding service. Jeff is a highly qualified appraiser for property or equipment. Jeff is a Minnesota native with 35+ years of experience. Brian’s experience includes numerous commercial, industrial, and agricultural properties. Megan grew up on a grain farm in southeast ND. She has previously worked at a grain elevator and for the government. Tyler has an agricultural and accounting background growing up on a dairy farm in central Minnesota. Katrina graduated with a Bachelor’s degree in Accounting. She gained exposure to agriculture growing up on a farm. Crown Appraisals has a unique ability to quickly identify the critical components and economic characteristics of very niche industry segments.